Kanye West is a person who embodies everything that is pathetic and sad about pop culture. The fact that he is married to a Kardashian sister and worships Dump makes him even more repugnant to me. I don’t really see how he has fans, but there is no accounting for taste. 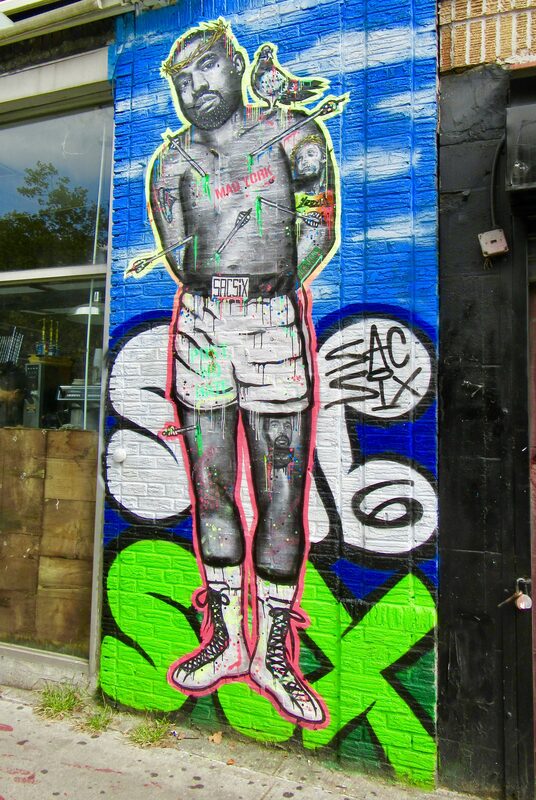 This mural by street artist Sac Six portrays West as Saint Sebastian. More importantly, it is a take on the famous cover of Esquire magazine from April, 1968 that portrayed prizefighter Muhammad Ali as the famous martyr, which makes it even more polarizing. The mural is excellent, but Kanye is a pathetic loser whose only talent is for shameless self promotion. Yawn City. Please stop making this man famous.